Director Alex Proyas and Lionsgate, the studio behind “Gods of Egypt,” have come out and apologized after the film’s casting prompted online outcries. 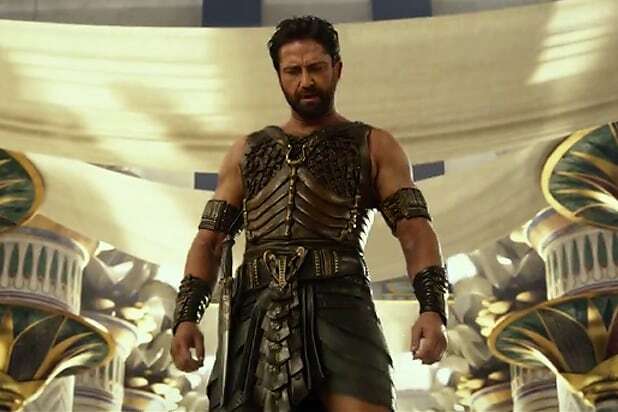 The fantasy epic came under fire after placing white actors likeGerard Butler, Brenton Thwaites and Nikolaj Coster-Waldauin the roles of gods and mortals who set off on an adventure in ancient Egypt. The studio itself came out with even stronger words in its own apology. “Gods of Egypt” is not the first film to attract criticism over casting white actors in roles that would seem to call for more diverse selections. Ridley Scott‘s “Exodus: Gods and Kings” came under similar fire when it was released late last year, and his “The Martian” this year was also criticized for casting a white actress in the role of a character who was Korean-American in the book on which the movie is based. Joe Wright‘s “Pan” was also criticized when he cast Rooney Mara to play the role of Tiger Lily, a Native American. While Scott and Wright have each been made to answer for their decisions, neither had come out with a full-throated apology the way Proyas and Lionsgate has. Forbes.com first broke the news of the studio’s apology. “Gods of Egypt” will be released on Feb. 26, 2016.